Asus will upgrade their popular Zenbook UX305 series in the second half of 2016, and the updated model is rebranded as the Zenbook UX306 series. The Zenbook UX305 was well appreciated by reviewers and buyers for the fact it offered looks, performance, a decent screen and long battery life, all for prices most other similar devices didn’t match. The UX306 builds on the same recipe and addresses the two most important aspects buyers complained about the previous generation: gets a backlit keyboard and a new trackpad. But there are a few other changes that you need to be aware of before deciding if this is the right computer for you or not. While the Zenbook UX306 is not yet shipping at the time of this article, Dave Lee from the Youtube channel Dave2D got a review unit and posted the following video review of the UX306UA model. Check it out and check out his channel as well, he covers ultraportable laptops and his clips are some of the better out there. In the next paragraphs I’ll add my own impressions of the UX306 and a few concerns of certain aspects that were not covered in the video, until I get to properly review the UX306 myself. First of all, you should know that the Zenbook UX306UA is the configuration built on Skylake Core U hardware (Core i5-6200U and i7-6500U) processors, with up to 16 GB of RAM and M.2 SATA SSD storage. That means it gets a fan inside. The previous Zenbook UX305 series also included a fanless model built on Intel Skylake Core M hardware, the UX305CA, but I haven’t heard anything about a Core M UX306 version just yet. There’s a fair chance Asus aren’t going to release one until the end of 2016, on the newer KabyLake Core M platform, when they’ll also update the UX306UA to KabyLake Core U hardware and probably rename the two models, replacing the two letter indicators behind the UX306 series name. Asus are also going to launch a more premium 13-inch Zenbook, the UX310, which we’ve addressed here and we’re going to review in a following post. These are my suppositions though, and I’ll update them once more details are available. On a fist look, the major detail that sets the UX305 and the UX306 apart is the color scheme. While the UX305 was available in Obsidian Stone and Aurora Metallic, or in other words and dark-gray and a lighter goldish variant, the UX306 is only available in a crude silver color. 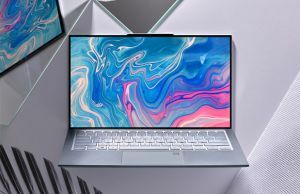 What you should know is that it comes close to the Macbook Air and the Dell XPS 13 in terms of color, which means it’s not going to show smudges and finger oil as easily as the dark UX305, which was actually the one that was the most widely available. That aside though, the design lines are mostly the same. 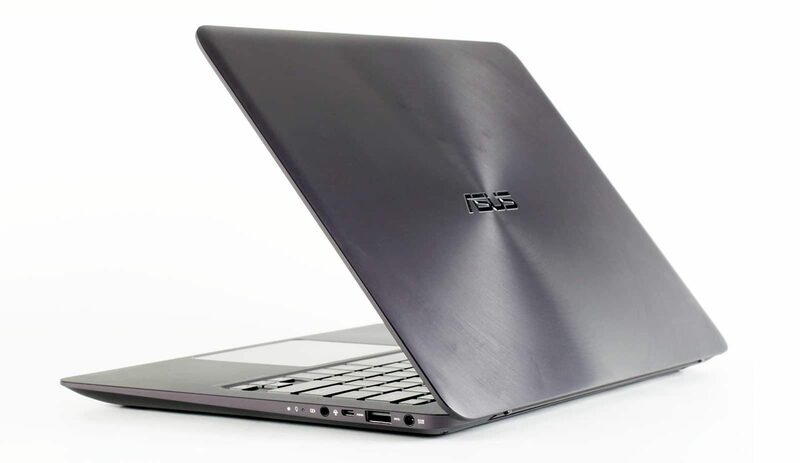 There’s a metallic lid with the radial finishing spurring from the chromed Asus logo in the middle, a metallic interior and and metallic underbelly as well. The screen still lifts-up the lower body when leaned back, but no longer has the two small plastic feet of the UX305, so there’s a fair chance that edge is going to scratch in time. On the other hand, I expect the laptop to feel more stable on the desk without it though. 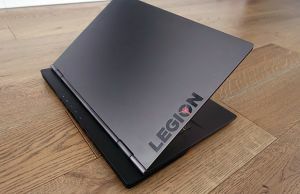 The build quality is good, yet there’s still some flex in the lid and the keyboard area, so this computer is not as robust as some of the more premium 13-inchers out there. The UX305 showed flex too, but I haven’t heard anyone complaining about this, so don’t make a big fuss of it, just acknowledge that if you’re willing to spend more, you can get tougher built devices in this class. The UX306 is thinner and lighter than the UX305. It weighs 1.19 kilos (2.65 lbs), which means it has lost 110 grams (.25 lbs) over the previous generation, and it’s only 13.9 mm thick, while the UX305 measured 16 mm in its thickest point. The screens seem to be the same, so my impression is that the UX306 has lost about 2 mm of its lower body. That leads to less inner space inside the frame and less space on the sides for ports. The latter actually translates in a poorer IO, as the Zenbook UX306 only gets a single full-size USB 3.0 port, an USB 3.1 (without Thunderbolt support) port, a headphone jack, a card-reader and one micro-HDMI port for video output. In comparison, the UX305 got three full-size USB slots. The former will lead to increased case temperatures and potential hotter inner components, which might translate into a noisier fan, throttling under load or both. We’ll talk about those further down in the section that addresses the daily use experience, but because the video review doesn’t get in-depth on these details, we’ll only have to rely on assumptions based on some of the hints in the clip. So overall, the Zenbook UX306UA is a decently built ultraportable with a sleek metallic body. It’s lighter and thinner than its predecessor, but at the same time it offers pretty poor IO, so there’s a fair chance you might need some adapters in certain situations. Thunderbolt 3 is not supported on this Skylake model, but should be on the KabyLake update. A list of Thunderbolt 3 laptops is available here, if interested. There’s an improved keyboard on the Zenbook UX306. Dave appreciates in the video that the keys are backlit on this new model and likes the layout, but considers that the keys stroke isn’t as responsive as he’d want them to be and considers the typing experience pretty average, but decent. I’m reviewing the Zenbook UX330 right now and I believe it gets the exact same keyboard, but on a slightly sturdier frame which doesn’t flex as much. I’d say the typing experience on the UX310 is a little above average, I like the feedback, the keys matte finishing and their quietness and I think it’s a noticeable improvement over the keyboard on the UX305, which felt soft and mushy. The Zenbook UX306 also gets a new trackpad. 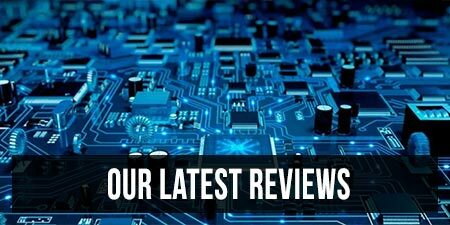 The reviewer finds that tracking is really good and the clicking issues noticed on the UX305 have been resolved. He also mentions that the surface could have been a little smoother, and these notes also make me pretty confident that the UX306 and the UX330 I’m reviewing get the same trackpads. Yes, the surface shows a little too much resistance, but tracking is smooth and accurate, while physical clicks are no longer clunky and stiff as on the UX305. In other words, both the keyboard and the trackpad are a step-up on the Zenbook UX305 compared to last year’s model. While the review doesn’t get into much details, I’m pretty sure the UX306 gets the same Samsung SDC3724A IPS matte panel with a resolution of 3200 x 1800 px, that we’ve seen on the UX305 before. It’s a pretty good unit, with good brightness (330 nits), contrast (600:1) and decent color coverage. In fact, it’s a screen most users will find excellent for daily use. The display still doesn’t seem to lean back very much, which is something those of you that like to lean back the laptop on your legs while lying on a sofa, like me, might find annoying. Asus will offer a FHD screen option as well, which is fairly good too, won’t suffer from the same potential scaling issues and will help with battery life. But you will have to live with PWM if you set the brightness to 20% or lower. Shouldn’t be a concern unless you’re mostly going to use the laptop in dark rooms or during the night. There’s not a lot to say here. The Zenbook UX306UA is built on a Skylake Core U platform, usually paired with 8 GB of RAM and an M.2 SSD SATA storage. There’s an option for 16 GB of RAM, but I haven’t seen configurations with this kind of memory just yet. Keep in mind that the RAM is soldered on the motherboard, so the only two elements upgradeable are the storage drive and the wireless module. For storage, a M.2 80 mm SSD is used. In order to get to it, you have to unscrew the several screws Torx T4 on the belly, but be careful there are also two Philips screws hidden underneath the rear rubber feet. The internal architecture is mostly identical to that of the UX305, with the only noticeable difference being the SSD’s placement, which is not longer stacked on top of the memory. There’s a picture below showing the UX305 and the UX306 one next to the other, for comparison. 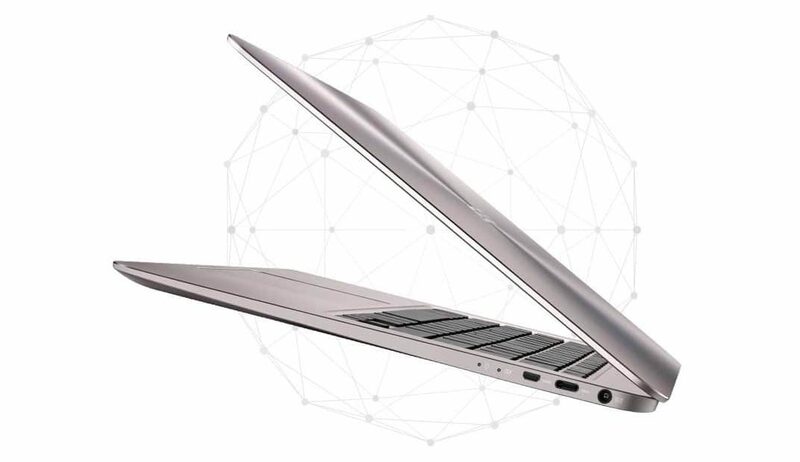 Performance wise, the UX306 does what any other Skylake Core U ultraportable can. 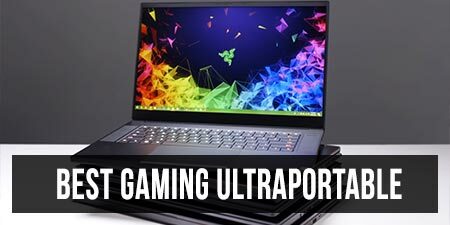 That means it can easily handle daily chores, multimedia content, office use, browsing, and some light gaming, as long as you’re willing to trim down details. The video review doesn’t get in depth with benchmark results and potential throttling issues, but considering the UX305 fairs well in terms of performance, I’d expect the UX306 to do well too. However, the fact that the UX306 is thinner than the UX305 and the external temperatures readings from the clip draw attention. In my tests, the UX305’s interior only reached temperatures of around 42 Celsius in certain spots on top of the keyboard. The video shows the UX306 reaching temperatures above 50s, and while I can’t draw any conclusions from data taken with different instruments and in different environments, I do expect the UX306 to run hotter. That’s not necessarily a concern though, as the UX305 was in fact one of the cooler 13-inch ultraportables out there, which leaves a decent headroom for increases that shouldn’t bother users in daily use. Hopefully the increase won’t lead to performance losses as well, but there’s no way to tell that for sure until we get our own review unit. As a side note, the cooling system on the UX306 seems to be identical to the one of the UX305, with air being sucked from the bottom and rear-edge and expelled through the grill behind the hinge. However, I did notice that the intake grills on the bottom plate no longer spur on top of the heatpipe and the fan, but are smaller and placed on the sides, above the speaker grills. Not sure what’s the reasoning behind this change, but hopefully it will yield good results. The video review also mentions that the fan inside the Zenbook UX306 is active most of the time, which is another thing to keep in mind. 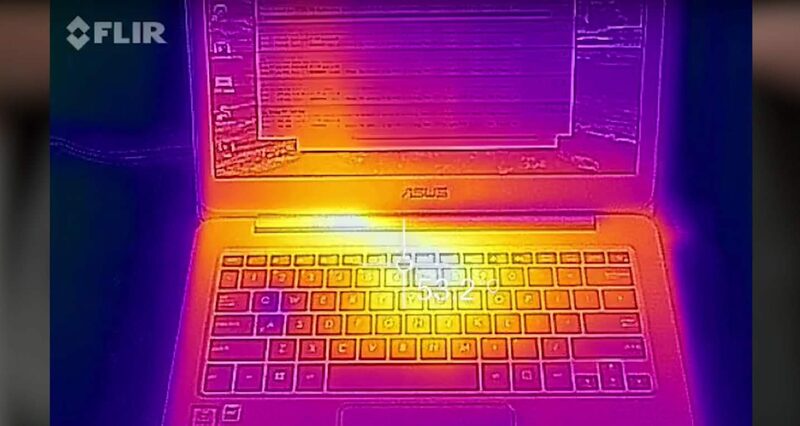 I was personally displeased with the rather aggressive fan and temperature control of the Zenbook UX305, which kicked on way sooner than it had to. On the UX306, there’s a fair chance it the fan is actually required to kick in soon, again due to the thinner profile. Personally, I consider that a good ultraportable should be able to deliver fanless daily experience, and it seems that the UX306 does not, but many of you might not have such high expectations. That aside, there’s no mention of the wireless performance in the video review. The UX305UA suffered from rather short Wi-Fi range, and I’m curious whether that has been addressed on the UX305 or not. My guess is that it hasn’t, given how the screen ensembles, which host the antennas, are similar on the two. We’ll see. One aspect that the review does mention are the speakers. They are still placed on the laptop’s belly, but supposedly sound clearer, while not being very loud. The pics of the internals show different chambers used for the speakers, which backs up the fact that they have been upgraded on this newer Zenbook. Asus put a large 57 Wh battery on the UX306UA, a minor bump from the 56 Wh one on the UX305. Given how the hardware and the screen are the same, you should expect similar results to the older model, which was able to run for about 5-7 hours of daily use, 8-9 hours of video playing and even longer if used lightly. If you opt for a configuration with the FHD display though, you should expect 1-2 hours on top of what the QHD+ version offers. The laptops gets a 45W power brick and a full-recharge takes almost 3 hours. There’s only one configuration of the Zenbook UX306UA listed at the time of this post. 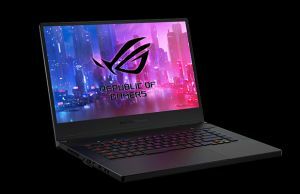 $999 will get you a higher-end model with a Core i7-6500U processor, 8 GB of RAM and a 512 GB SSD, plus the FHD (1920 x 1080 px IPS display). I do expect to see more options in the next few weeks and you should follow this link for more details and updated prices and configurations at the time you’re reading this article. 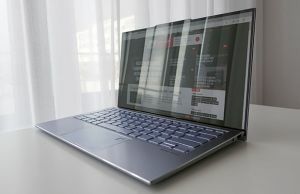 The best-buy model should get you the Core i5-6200U processor, 8 GB of RAM and a 256 GB SSD for around $800, given how the similarly configured Zenbook UX305 sells for around $750 right now. The Zenbook UX306UA is a an excellent 13-inch ultraportable in its class. 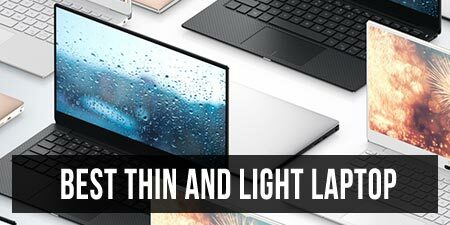 It doesn’t offer fancy features like some of the premium options out there, like PCIe storage, a touchscreen or Thunderbolt 3 support, but it’s also several hundreds dollars cheaper than the likes of the Dell XPS 13 9350 or the HP Spectre X360. Compared to last year’s model, it gets an improved keyboard with backlightning, a better trackpad, a friendlier color scheme, upgraded speakers and a thinner and lighter body. This particular aspect can lead to trouble though, as it translates into higher case temperatures and potentially increased fan noise, but we can’t draw any firm conclusions until we actually get our hands on our own UX306 for a review. The Zenbook UX306UA is not going to be without rivals, like the slightly fancier Zenbook UX330, HP Envy 13, the Lenovo ThinkPad 13 or the Acer Aspire S13, other good 13-inchers with affordable price tags. But if the UX305UA was well received by reviewers and buyers despite its shortcomings, the upgraded Zenbook UX306UA has an excellent chance of being an even greater success in this second half of 2016. Let me know what you think about it in the comments section below and get in touch if you have any questions or anything to add to this post. Some of the images in this post are taken from Dave Lee’s clip available here. Hey, it seems to be a decent ultrabook but still lacking the premium feel of the MacBook air or Dell XPS 13. Does the job but doesn’t shine. Btw, do you know when will the late 2016 XPS 13 model come out or if there will be one at all ? Is the current model outdated ? I’d expect to see an update once Intel Kabylake hardware in released in Fall. Can’t say what to expect from that platform just yet, but I wouldn’t call the current XPS 9350 obsolete, but that of course depends on each user’s requirements. For instance, I’m still using the previous XPS 9343 and it’s still good enough for my needs. I was expecting the UX306 and the UX310 but the poor IO is a dealbreaker for me. Could consider the UX330 instead. I’ll have a review up in a few days. Struggling to see the difference between the UX306 and UX330 besides an extra USB3.0 port lol — is there something I’m missing? some small design changes and I’d say overall build quality. the UX330 is built from thicker metal and feels stronger, compared to the UX305. I haven’t seen the UX306 live yet, but it seems to be very similar to the UX305 in terms of design and chassis. Is it possible to replace the battery on this laptop in case of malfunction (Specially after the 2-year warranty period is over)? Yes, as long as you find a replacement battery. I expect this laptop to be quite popular, so you should find spare batteries down the line. The replacement process is fairly simple, but if you’re not familiar with hardware you might want to go to a specialized shop and have them do it for you. Nice to know, batteries tend to degrade over time and some models do not allow battery replacement, which is something which concerns me a bit. How it will work with Photoshop and Illustrator run at the same time, and working on both? Well, it’s a Core U processor, so it’s not meant for heavy loads. Depends on what kind of projects you’d be running, but I wouldn’t expect wonders from it. Just as a request, but I was wondering if, for clamshell models, you might include maximum opening angles in your reviews? A minute and a protractor is all it would take, and it’s one of the main complaints I had with my UX303UA that I bought last year. Well, Asus laptops are usually very well priced, I’d say that could be the explanation. Hey, just wanted to ask if you had any idea when the i5 configuration of the ux306 will be available, and also if the ux330 will even be available in the US. Always been a fan of your reviews. Thanks. I don’t. And on the UX330, I was told it will be available in the US at some point, as this series will phase out both the UX306 and UX305s. But given how the UX306 is already on the market in the US, I’d reckon it will be a while till the UX330 will replace it. Yes, but there are too few to tell anything for now. Also, the negative ones, one isn’t verified and another is very subjective, the one about the temperatures. Of course it’s going to run hot, it’s a thin and light laptop with Core i7 processor, they all run hot under load. Dear Andrei, first, thanks for the great reviews you make, i've read quite all in the last time and i must say they're very good. The reason i decided to write this, is because now i got very confused about a thing or two. For professional reasons it happened that soon i've got to be quite mobile, needing to take a calculator always with me. For 10+ years now i only worked on my desktops. So, this explains why i read quite all of your reviews, i am looking to buy my first portable calculator. And this i where i got confused. My work consists mainly in working in lightroom and photoshop with raw photos up to 50-60-70 mb, occasionally i need to render video material @1080p in the order of 500-600 mb, 4k about just twice for 2gb size files. i don't game. never. Dedicated graphic card? Do i need one for my work with today's mobile cpu's + intel gpu's? Should i decide based on that? or do i really need a i7 quadcore + dedicated gpu? Do you have an actual device that you would recommend me to look into (under 1000€)? 1-2. Dedicated graphics are not a priority for your demands imo. A powerful processor and a hefty amount of RAM (I'd go for at minimum of 16 GB, preferably 32 GB, if possible) are what I'd look for, and that does mean a quad-core processor. 3. An ultraportable won't get inside your budget, so the options are some of 15-inch multimedia laptops with Intel Core i7-6700HQ processors, 32 GB of RAM and a good screen. You're not going to get a wide-gamut panel either in this budget, so you'll have to settle for a half-decent IPS Fullhd screen. Your options are the Asus GL502 and GL503, the Acer Aspire V15 Nitro, the MSI GE62, the Dell 7559 and maybe a few others. 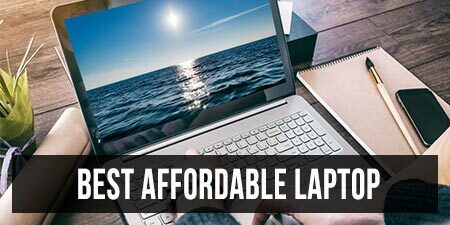 All these do come with dedicated graphics as well, simply because multimedia laptops are built this way and you can't find options with Intel quad-core processors and no dedicated chip. Each of these has pros and cons, read our reviews or the post on notebookcheck.net, anandtech.com and other big sites, and then pick based on what's more important for you. You'll probably find these with less RAM and you'll have to add more. You can do it when you buy the device, or go for just 16 GB now, see if that's enough, and upgrade later if needed. If you need more help narrowing down your options, let me know, but make sure you do the research yourself first, so you'll know exactly what to expect from each option. wow, thanks for the superquick superfast supernice advice! Right before i was looking for the new Asus UX410.. 14 inch, cause i read it "should" have a very good quality display together with the new kaby lake @20gb ddr4 +dedicated gpu and ssd, all this should come at an aggressive price…but as i understand it is not yet official. maybe i should put some more on the budget and simply wait a little and see what comes out in the next time and in the meantime whatch out for deals on "better machines" when they become not the newest ones on the market. Andrei, thank you for your review. I would appreciate if you add some extra info about performance of yellow colour on Asus UX306. I like this laptop but i'm not sure if it has correct colours (I tried to catch it on video but it's unfortunately impossible). The point is that sometimes in modern laptops manufacturers use strange tint of yellow – kind of greenish or brownish (I faced with it on Lenovo Yoga 2 Pro). In fact this colour deformation makes the laptop impossible to use for me because I work with images all the time. Would you recommend ASUS Zenbook UX330UA-AH54 (~US$679) or UX306UA (~US$800) for an average user? Thank you in advance. They're both good options. If the two get the same configuration, I'd go for the cheaper one. Thank you Andrei. How about them vs Acer Swift 3? 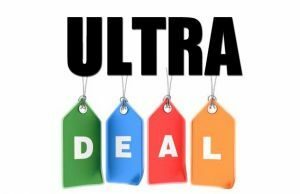 I almost bought ASus UX330UA, then I stumbled on your Swift3 review with .25 star higher. Currently Ux330 is $679 and Swift is $630 on Amazon. I also noticed that the yellow on my Asus 305L has a greenish tinge. This can be annoying when I expect a yellow higheighted text. My geek colleague tried and failed to rectify. He thinks the problem is with the video hardware. Any further suggestions ? I was reading up on some reviews complaining about the hinges of the asus ux306, more specifically about how the hinges aren't tight enough and the screen tilts back or forward on its own. Is that a big issue with this laptop? Also, i noticed in dave 2d's video that upon opening the laptop, the screen portion goes underneath the keyboard part of the laptop. Was an issue at all? Yes, the hinges are a little weak. I don't understand your second question, but if you're asking about the way the laptop converts, this kind of form factor is the most widespread at the moment and I don't think you should worry about any issue if you'll treat the laptop nicely.